While I wish I could remember all of the concepts I learned in business school, sadly, I don’t. There are specific things, though, that really stand out. These are things that I not only remember to this day, but that I actually USE. 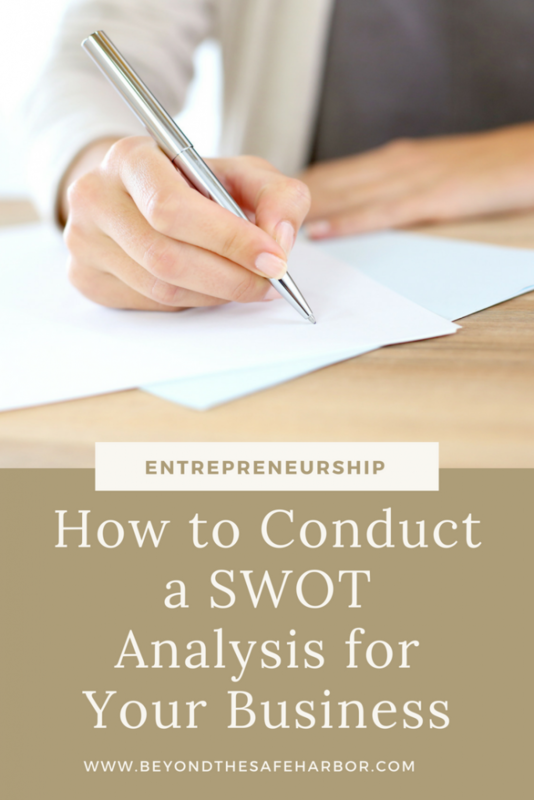 Let’s dive into how to conduct a SWOT analysis. 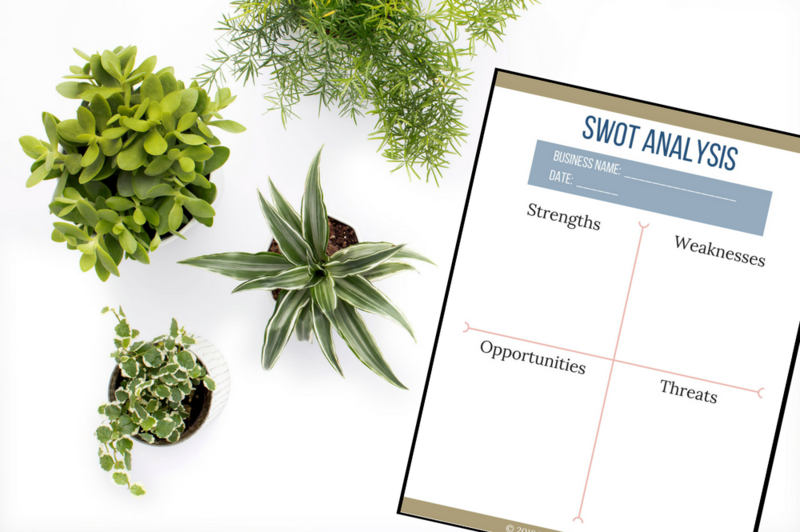 As you may have guessed, SWOT is an acronym for the four dimensions of your business you will be analyzing. What characteristics give your business an advantage over others in the same category/sphere? In other words, what positive attributes separate you from the competition? These can also be innate strengths, even if others have them too. What characteristics give your business a disadvantage over others in the same category/sphere? In other words, where do you fall short versus your competitors? These can also be inherent weaknesses, even if others share them. What environmental or situational elements can the business use to its advantage? In other words, what opportunities could your business capitalize on? What environmental or situational elements could pose risks or negative outcomes for your business? In other words, what threats exist that could negatively impact your results? At it’s core, a SWOT analysis simply consists of analyzing these four dimensions. And I’ve created a helpful printable template you can use! Find it in the Business Building section of my FREE Resource Library when you sign up below. You can then jot down bullet points under each section. Once you’ve chosen a template and drawn your outline, it’s time to start capturing your thoughts. Here are some questions to ask yourself in completing each part. I’ll include some examples from my own business to help illustrate. What makes your business superior to others? Which factors have led to the success you’ve experienced so far? What tools, experience, or skills do you have that the competition doesn’t? What is your “special sauce”? What makes your business inferior to others? Which factors have hindered your success or led to unwanted outcomes? What tools, experience, or skills do you lack (especially those that the competition has)? Are there tools or connections do you have access to that your competitors don’t? What are they? What history or experience do you have that your competitors don’t? Are there Strengths from the section above that could be turned into opportunities? What risks exists in the environment? Are you overly reliant on anything for your results? Use your SWOT analysis to get clear on where things stand and decide how to move forward. Your next steps may include a revamped business plan, an overview for any new partners you plan to onboard or work with, or fodder for a future coaching or mentorship meeting. Check out my post Making Money on Etsy: How I Doubled My Income on the Cheap to see a case study of this in action. Have you ever done a SWOT analysis before? Leave me a comment and let me know!